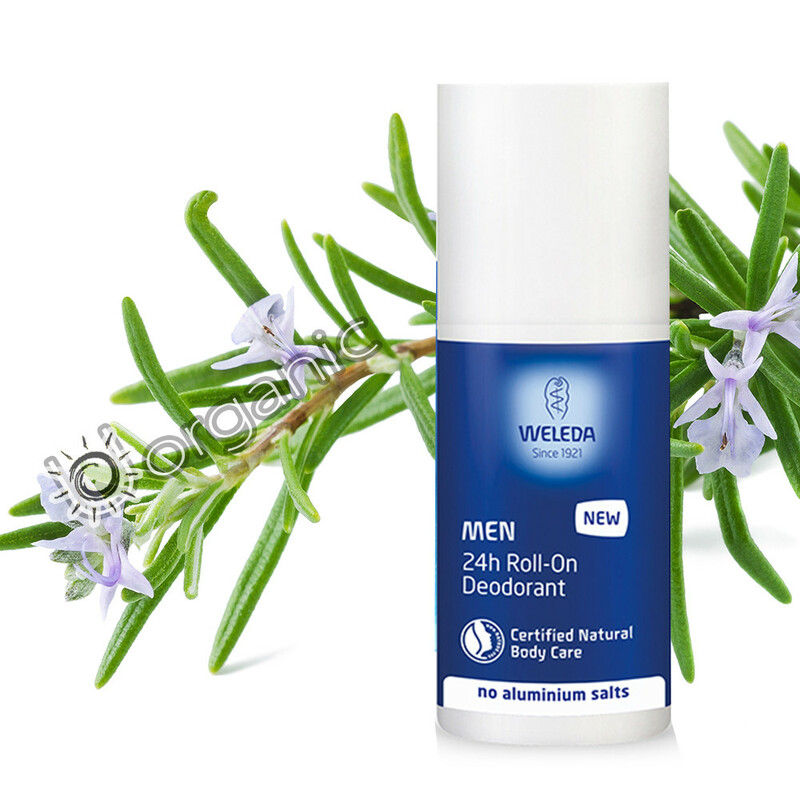 Weleda MEN 24h Roll-On Deodorant is very straightforward: 24h reliable protection, no aluminium salts, no blocking of pores, natural functions are maintained. The easy to use roll-on has a masculine yet refined scent. Woody herbal notes of rosemary combined with invigorating freshness of litsea cubeba and vetiver essential oils, makes this deodorant a good choice for him. Ingredients: Water (Aqua), Alcohol, Triethyl Citrate, Glycerin, Fragrance (Parfum)*, Sodium Caproyl/Lauroyl Lactylate, Glycyrrhiza Glabra (Licorice) Root Extract, Hamamelis Virginiana (Witch Hazel) Distillate, Acacia Senegal Gum, Xanthan Gum, Citric Acid, Phytic Acid, Limonene*, Linalool*, Citronellol*, Benzyl Benzoate*, Benzyl Salicylate*, Geraniol*, Citral*, Coumarin*, Farnesol*.